A lot of my new designs will be for all levels, as opposed to just Daisies, Brownies, etc. It saves me time when creating them, and it also allows you to use the same document for multi-level troops and year after year! 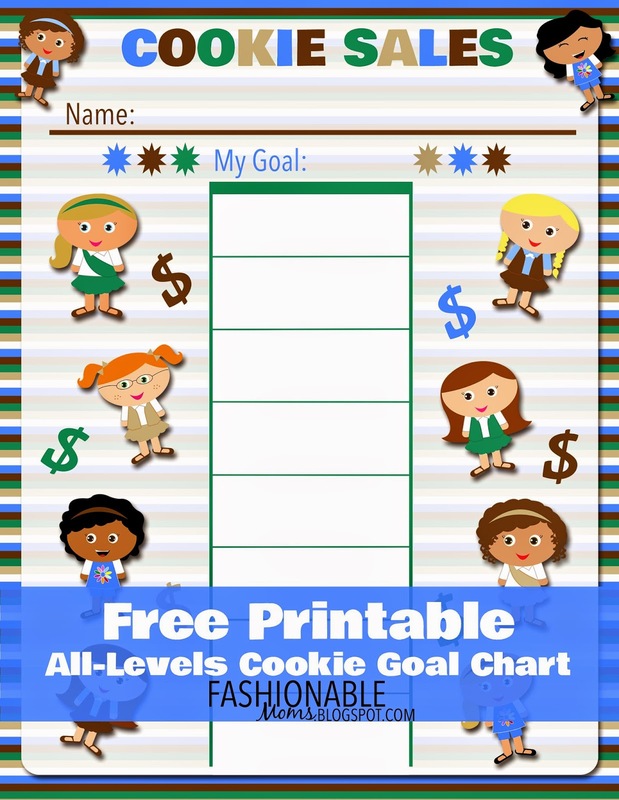 Here is a brand new Cookie Sales Goal Poster! It is a 2-page PDF with 200 "boxes" that she can color in, check-mark, sticker-mark, or whatever for each box she sells! Enjoy!! !